This is a place where history was made, a place where nature built a stadium and on one day in October 1915, a place where more than 110,000 baseball fans graced the hillsides for the largest attendance in amateur sports history. Located in the Brooklyn Centre neighborhood of Cleveland, Ohio, Brookside Stadium is truly a lost legend of America's endangered ballparks. Throughout it’s 120-year history, the Stadium played a major role in Cleveland’s amateur baseball history, hosting World Championships, tournament games and thousands of league matches with many famous Cleveland baseball players. Further, Brookside Stadium’s natural amphitheater became a place where young and old, from all across town would come to enjoy community events, festivals, and even a concert by John Philip Sousa among others. 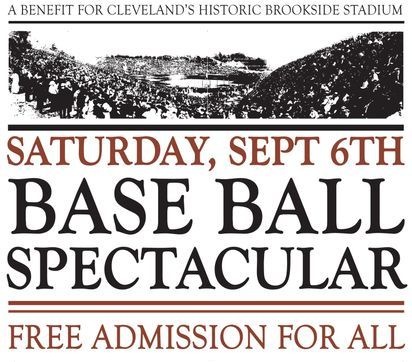 We encourage you to explore this website, and the historic treasure of Brookside Stadium. We also welcome you to join our cause in bringing this legend back to life. See how you can be involved.